Please use the map below the Nationwide Providers to find service providers in your region that accept Sweet Louise vouchers. The Service Directory is also available as a PDF file below. We make an effort to keep this Service Directory as up to date as possible, but there may be some changes to the services offered. Contact us with any questions you have about services or Service Providers on 0800 11 22 77 or by email on members@sweetlouise.co.nz. For local Service Providers, please see the map below. Please contact your local Vivo salon and let them know you would like to use your Sweet Louise vouchers or call the Vivo call centre on 0800 400 300 or Online at www.vivosalon.co.nz for bookings. Phone 0800 948 432 to make a booking. This number defaults to your nearest franchisee. All journeys need to be pre-booked. The drivers will quote for the job, and then take the vouchers at the end of the journey. Please contact the drivers in your area and inform them you would like to use your Sweet Louise vouchers. Call 0800 956 956 or Email info@freedomdrivers.co.nz for bookings. Certified Physiotherapists are located throughout NZ from Kaitaia to Invercargill. Register for the PINC Program on the website www.pincandsteel.com for the clinic nearest to you. You will the receive an email with all the contact information for that clinic and how to make an appointment. Use the Dropdown box below to show services available in different categories (for example, Baking or Transport). Zoom in on your region or town to view all the different services available near you. Use the Search box below the map to search for a particular service provider, location or type. Megan Johnson Aromatherapist Aromatherapy,Massage,Reiki 98 Arney Road, Auckland, New Zealand Qualified Aromatherapist to Diploma level with extensive experience in providing care for people with cancer. I provide a safe nourishing nurturing massage in my home clinic in Remuera. Depending on your circumstances I can offer Aromatherapy massage in your home/ hospital/care facility environment & offer education and your individualised Essential Oil blend for loved ones to massage you with. I am also qualified in Oncology Massage level two & Reiki to the highest level of training. Services Provided: $85 for a one hour Aromatherapy massage. Inclusive of any Reiki provided if wanted. $75 for a 45 minute therapy. $110 sliding upwards price range for Aromatherapy massage in your home/ place of care environment (without massage table) depending on distance from Remuera. With all therapies I am very happy to gift you a complimentary bottle of ‘your special Essential Oil’ blend. Please note: I use only Highly therapeutic Organic Essential oils & look holistically into creating YOUR blend based on your physical/ emotional/ psychological well-being in the moment. Hana Studio: Movement + Wellness Aromatherapy,Massage,Pilates 43 Florence Avenue, Palmerston North, New Zealand Specialising in relaxation massage and Pilates, our philosophy is that movement is for everyBODY. Private Pilates - Introductory Package: $195; 5 Session Package: $365; Single Session: $75; Hana Aromatherapy Massage: $75 (1 hour); $50 (30 minutes). Operating Hours - Mon: 3pm - 8:30pm; Tues - Thurs: 10am - 8:30pm; Fri: 10am - 7:30pm; Sat: 10am - 4pm. How to Book: Phone: 06 356 3462; Email: info@hanastudio.co.nz. Please give 24 hour notice of cancellation. Complementary Health Clinic Aromatherapy,Massage 11a Kerswill Place, Pakuranga, Auckland, New Zealand Marlene Upfold's work in holistic health began years ago in South Africa. A whole approach to health encourages both the body and mind to maintain a natural balance. With years of practical experience she offers safe, professional treatments tailor-made to suit every person's personal needs. Services Provided: Aromatherapy - Clinic 30 minutes $40; 60 minutes $70; Home or Hospital 60 minutes $90. Indian Head Massage 30 minutes $40; 45 minutes $60. Operating Hours: Monday - Saturday 9am - 7pm. How to Book: Phone 09 527 7374; 021 355 373 Cancellation Policy: Please provide 12 hour notice if you cannot make the appointment. Maraetai Day Spa Aromatherapy,Looking Great,Massage 8 Crossland Place, Maraeti, Manukau Auckland Booking Info: Phone 021 036 6237/09 536 4453 or email pauline.sharman@gmail.com. Services: Aromatherapy: 1 hour aromatherapy treatment, with foot spa and body butter and scalp massage $120; Relaxing and rejuvenating 30 minute aromatherapy massage and 30 minute spa facial, a choice of manuka honey products or coconut products from Rarotonga $120. Please note the above treatments are only available at the day spa, please enquire about hospital visits. Online Shop: Maraetai Day Spa has an online shop at www.maraetaidayspa.co.nz where Manuka Honey products and coconut products from Rarotonga may be purchased with your vouchers with postage free anywhere in New Zealand. doTerra range of essential oils and products are also now available to be purchased with Sweet Louise vouchers. mydoterra.com/paulinesharman Operating Hours: Tuesday, Wednesday and Thursdays. Cancellations: Please cancel within 24 hours or there will be a 50% cancellation fee. Aaran Church Acupuncture,Massage,Positive Mind Techniques,Reflexology,Reiki,Tai Chi Northland, New Zealand Coverage/Location: Sambur Retreat, 11 Maraenui Drive, Kerikeri. Booking Info: Mobile: 021 229 7489 Email: aaranipp@gmail.com. Also, offering mobile services. Service Amount: Tai Chi / Chinese Exercise - 1 hour $75.00; Reiki - 1 hour $75; Acupuncture - 1 hour $75; Chinese head massage - 30 min $40; Massage/Reflexology - 30 min $40, 60 min $75. EFT (emotional freedom techniques) 60 min $75. Aaran is a practitioner of traditional Chinese medicine, massage therapist. An ACC Registered Health Care Provider and member of Acupuncture NZ. THT Chinese Medicine - Frank Wang Acupuncture,Massage 197a Chivalry Road, Glenfield, Auckland, New Zealand Services Provided: Therapeutic Massage and/or Acupuncture (30 minutes) $45; Therapeutic Massage and/or Acupuncture (45 minutes) $60 Operating Hours: Monday to Friday 9am - 5pm How to Book: By Phone 09 443 3580. Bookings essential. Please cancel by phone. Bodyworks Massage Therapy Oncology Massage 24 Nairn Street, Christchurch, New Zealand Services Provided: Oncology massage provided by therapist qualified in oncology massage. Oncology massage (1 hour) - $80 Operating Hours: Sunday – Thursday: Variable hours between 10:30am - 7pm How to Book: Online: www.bodyworksmassage.co.nz Cancellation Policy: Please provide at least 24 hour notice. Charges apply at service provider's discretion. Blue Waters Clinic for Massage & Lymphdrainage Low Level Laser Treatment,Lymphoedema Therapy,Massage 2 Belgium Street, Waiheke Island 1081 Coverage/Location: 2 Belgium Street, Waiheke Island. Booking Info: Ph 09 372 9003 Mobile: 021 0260 6393 Email chris_hofmann@icloud.com Service Amount: Manual Lymphatic Drainage 45 min $60. Manual Lymphatic Drainage 60 min $80. Manual Lymphatic Drainage - 90 min $120. Bandaging $15 per limb House Call extra $10.00. Low Level Laser Therapy $20 plus $1 per minute. The same prices apply for massage treatments based on the time the massage takes. Vanessa Lei Yoganess Yoga 1/167 The Square, Palmerston North, New Zealand Contact: Phone: 027 243 0187 or email: vlbphotography@inspire.net.nz Services available: Yoga at Vanessa’s Studio - Class costs at the studio are $15 casual and $13 a class for a concession of 6 or more classes, valid for 3 months. $78 for 6, $130 for 10. The Woolshed Retreats Retreat The Woolshed, 144 Muri Road, Pukeru Bay, Wellington Coverage/Location: The Woolshed, 144 Muri Road, Pukeru Bay, Wellington. Note: One farm gate to be opened and closed. Booking Info: Phone 04 239 0234, Mobile 027 206 8876, Email pamela@thewoolshed.com . Service Amount: Total Pampering Day 90 minutes massage, aromatherapy bath, cabin, lunch $200. 30 minute facial and foot massage $40. 24 hr retreat (or longer) - all meals incl - single $250; Double $350. Therapeutic or relaxation Massage 60 Minutes $80; 90 Minutes $110, Followed by aromatherapy bath add $20. Shiatsu - 75 mins $100. Shiatsu - with aromatherapy spa bath $120. Life Planning/Mentoring 90 Minutes one-on-one session $200 (2 sessions are recommended. Bed and Breakfast - Single $90; Double $120. Karina Jesen Reiki Reiki 36A Hawken Road, RD 9, Whangarei 0179 Services Provided: A feeling of general wellbeing and relaxation is felt after receiving the Reiki energy. The gentle touch of Reiki may assist people of any age. It is a joy to experience. Reiki Therapy - $50/hour Operating Hours: Monday to Friday 8.00am to 4.30pm, Saturday by appointment How to Book: Phone/text - 021 0829 1466 Cancellation Policy: One day prior to appointment preferred. Cancellations due to unforeseen circumstances happen, so a phone call would be appreciated. Koru Self Development Reiki 30 Masters Ave, Hillcrest, Hamilton 3216 Coverage/Location: 30 Masters Ave, Hillcrest, Hamilton 3216 www.koruselfdevelopment.com. Booking Info: Bookings can be made by phone - 07 8592995 or 021 2584418 or email caterina.findsen@gmail.com. Service Amount: 1 hour treatment $80. Home/hospital visit $100. Dale's Natural Healing Reiki 1704 Mountain Road, Inglewood Coverage/Location: Clinic: 1704 Mountain Road, Inglewood. Coverage areas: New Plymouth, Bell Block, Waiter and Inglewood. Booking Info: Appointments to be made by phone: Ph 06 756 7884, Mb 027 575 6788. Service Amount: Reiki Treatment - 1 hour - at residence $50.00. Reiki Treatment - 1 hour - at clinic rooms $60.00. Home/hospital visit $60.00. Variable $5.00. The Secret Reiki 16 Kauri Street, Palmerston North Coverage/Location: 16 Kauri Street, Palmerston North. Booking Info: Appointments to be made by phone or text: Phone 06 359 1192, Text 0275 168 057. Service Amount: Reiki Treatment - 30 minutes $30.00. Reiki Treatment - 45 minutes $45.00. Reiki Treatment - 60 minutes $60.00. Variable $5.00. Diane Graham Reiki 65 Clyde St, Island Bay, Wellington Mobile service - hospital and home visits. All Wellington Suburbs. Booking Info: Bookings can be made by phone or email. Phone 027 4601313 or 09 9343083, Email: dianegraham867@gmail.com Service Amount: 1 hour Reiki Home/hospital visit $85.00. Linda Phillips Reiki Reiki 20 Rakau Views, Orewa, New Zealand Linda is registered with Reiki NZ Inc as a Reiki practitioner and operates from the Orewa area. She offers treatment sessions at her clinic and also home/hospital visits to extended areas. Reiki Clinic Treatment $60.00, Reiki (home/hospital within local area - 10km radius) $70.00, Reiki (home/hospital outside local area eg Warkworth) please phone to enquire cost. Operating hours are Monday to Friday 10am - 5pm and weekends by arrangement. Bookings can be made by phone 09 4264590 or 021931614. Jacqueline Hacking Reflexology 46 Goodwin Avenue, Oneroa, Waiheke Island, Auckland Coverage/Location: Clinic: 46 Goodwin Avenue, Oneroa, Waiheke Island, Auckland. Home visits by arrangement. Booking Info: Ph 372 8366 Mobile: 021 2323 601. Service Amount: Initial Consultation - Clinic $75.00 Initial Consultation - Home Visit $90.00 Initial Consultation - Hospital Visit $95.00 Subsequent Appointment - Clinic $60.00 Subsequent Appointment - Home Visit $75.00 Subsequent Appointment - Hospital Visit $80.00. Judith Howe Reflexology 7b Wright Rd, Point Chevalier, Auckland. Coverage/Location: Clinic: 7b Wright Rd, Point Chevalier, Auckland. Booking Info: Ph: 09 845 2622 (daytime) 09 849 3136 (evenings) Mobile: 027 244 5829 Email: reflexjudith@gmail.com. Service Amount: Initial Consultation Reflexology - $75; Subsequent Reflexology Appointment - $60. Basic Footcare Reflexology Palmerston North Basic Footcare will prepare your feet for relaxation reflexology. This is a mobile service in the Palmerston North area. Coverage/Location: This is a mobile service in the Palmerston North area. Booking Info: Appointments to be made by phone. Ph 06 356 3997, Mb 021 0226 9355. Service Amount: Initial Consultation - Home Visit $90.00. Initial Consultation - Hospital Visit $95.00. Subsequent Appointment - Home Visit $75.00. Subsequent Appointment - Hospital Visit $80.00. Variable $5.00. Jill Faulkner Reflexology Palmerston North I provide a quality and comforting foot and hand reflexology treatment to a high professional standard. The treatment is relaxing and nurturing to uplift the whole body. Coverage/Location: Mobile service. Areas covered: Manawatu, Palmerston North, Feilding. Booking Info: Bookings to be made by phone or email: Ph 06 323 6094 or 022 010 6487, Email jillpeepoday@inspire.net.nz. Service Amount: Initial Consultation - Clinic $75.00. Initial Consulation - Home Visit $90.00. Initial Consultation - Hospital Visit $95.00. Subsequent Appointment - Clinic $60.00. Subsequent Appointment - Home Visit $75.00. Subsequent Appointment - Hospital Visit $80.00. Variable $5.00. Judith Karaitiana Reflexology Wellington Coverage/Location: Mobile service: Johnsonville, Newlands, Karori, Central City, Brooklyn, Kilbirnie, Island Bay, Newtown. All other Wellington City areas by prior arrangment. Booking Info: Ph 04 971 7485 or mobile 027 658 0326. Leave a message if no reply. Service Amount: Initial Consultation - Clinic $75.00. Initial Consultation - Home visit $90.00. Initial Consultation - Hospital Visit $95.00. Subsequent Appointment - Clinic $60.00. Subsequent Appointment - Home visit $75.00. Subsequent appointment - Hospital Visit $80.00. Lene Petersen Reflexology Reflexology 67 Old Karori Road, Karori, Wellington Service Amount: Reflexology $95 Booking Info: Appointments by phone or email. Phone 021 844 394, Email: lene.p@xtra.co.nz. Marcia Pollock Reflexology 25 Acacia Ave, Maungaraki, Lower Hutt, Wellington Coverage/Location: Clinic - 25 Acacia Ave, Maungaraki, Lower Hutt, Wellington. Home visits - Kapiti Coast Booking Info: Clinic Ph 04 569 7923, Mb 0272 469 883. Service Amount: Initial Reflexology Consultation - Clinic $65. Initial Reflexology Consultation - Home visit $85. Initial Reflexology Consultation - Hospital $95. Subsequent Appointment - Clinic $60. Subsequent Appointment - Home visit $75. Subsequent appointment - Hospital Visit $80. Solas Reflexology Reflexology 63 Ottawa Rd, Ngaio, Wellington Solas Reflexology Coverage / Location: 63 Ottawa Rd, Ngaio, Wellington (Fridays 9am - 1pm or on request) www.ngaiohealth.co.nz Booking Info: Phone - 021 508275, Email - nicola@ngaiohealth.co.nz or www.ezybook.co.nz Practitioner: Nicola Taylor. Service Amount: Initial Consultation - clinic $75 / follow up $60, Initial Consultation - home/hospital $90 / follow up $75. Personalised aromatherapy waxes via consultation $30. Transport costs additional. Mindbodyspirit Healing Positive Mind Techniques 14 Kassa Drive, Helensville, Auckland Mindbodyspirit approaches to Health & Healing: As a Charge Nurse in both Surgical and Oncology units, Bev Silvester-Clark saw that health and healing are a matter of mind, body and soul. In her search to bring that all together, she has trained in a wide range of counselling & psychotherapeutic modalities, and in several internationally recognised mindbodyspirit programmes including - The Healing Journey (Alistair Cunningham, Toronto) & MBSR (Mindfulness Based Stress Reduction). Bev is a co-creator of Creating Health International (http://www.creatinghealthinternational.com/) and has guided more than 300 people through the different group programes she and her colleagues have developed. At present, Bev's work is focussed on her one to one practice (http://www.freeyourlife.co.nz/), in co-writing two books, and developing on-line interactive mindbody programmes. She has a wealth of resources and provides a warm and gentle approach to her very individualised work. Coverage/Location: 14 Kassa Rise, Helensville, Auckland. Booking info: Ph: 09 833 9853 Email:bev@freeyourlife.co.nz bev@cvreatinghealthinternational.org. Service Amount: Mind & Body Counselling - One to One $90.00 Variable $5.00. Auckland School of Qigong Positive Mind Techniques 5 Hillside Road, Ostend, Waiheke Booking Info: Practitioner: Elisabeth Apel Ph: 09 372 5492 Mb: 021 1422667 Email: elisabeth@shuichuan.com Service Amount: Qigong Meditation & Energy Classes - $20. Private Consultations and Teaching (90 mins) $75. Operating Hours: Monday - Friday and weekends. Bookings can be made by phone or email. Please allow 24 hours cancellation if possible. Pilates by Design Pilates 104 Newlands Road, Wellington, New Zealand Our pilates exercise system is a safe and holistic approach that gives clients the tools to help reduce stress, to be able to move well with confidence, and reduce chronic pain. Breathing sessions – 30 minutes: $30 Equipment Pilates session – private 1 hour: $60 Equipment Pilates session – private 30 minutes: $30 Operating Hours: Mon – Fri: 9 am – 7:30 pm How to Book: Email: info@pilatesbydesign.co.nz Phone: 027 342 1197 Late cancellations due to unforeseen circumstances are at no charge. Late cancellations due to not showing up are $25. Total Physiotherapy Physiotherapy,Pilates 143 Queen Street, Pukekohe, New Zealand Physiotherapy and Rehabilitation services with a focus on modified pilates. Physiotherapy $85 (concession with www.pincandsteel funding or Franklin BCSG), Rehabilitation: $40, Pilates classes. Operating Hours: Mon – Fri: 8:30am – 5:30pm How to Book: Email: info@totalphysiotherapy.co.nz, Phone: 09 239 1856 Please give 24 hour cancellation notice as a $20 late cancellation fee applies. Marie Richards Photographer Photography Auckland Coverage/Location: Auckland area - Weekends www.marierichardsphotographer.co.nz Booking mob: 021 170 3091 e-mail: marierichardsphotographer@gmail.com Service Amount: Photo Family and/or lifestyle session with all photos provided and printed: $300 All photos provided via Dropbox or USB stick. All photos printed in 6x4". Option for coffee table photobook to be purchased. Kate Christie Photography Photography Level 1, 650 Ferry Road, Woolston, Christchurch, New Zealand Everyone deserves a beautiful portrait of themselves. Kate is passionate about creating stunning portraits. Either a pamper "All About You" session or a get together with loved ones & capture fabulous memories. Existing in portraits is so important. All sessions include professional hair & makeup. Services Provided: Portrait Session (includes hair & makeup): $250; Portraits start from $250 (matted 7x10 portrait); Wall portrait start from $750 (framed or canvas). Operating Hours: Monday & Wednesday - 8:30am - 3pm; Tuesday, Thursday, Friday - 8:30am - 5pm. How to Book: Phone 021 132 4501 Please provide 24 hour notice (or sooner) for full booking deposit refund ($50). Nicola Edmonds Photography Photography Wellington, New Zealand Nicola Edmonds is a freelance photographer offering portrait sessions at the location of your choice. Nicola has been working as an editorial photographer for most of New Zealand's magazine titles for the last 15 years. One Hour Portrait Session $250.00 (+gst). This includes a disk of the images, sized and prepared so as to be ready for print. Bookings can be made by phoning 027 2246468 or by email nicola@nicolaedmonds.com Areas covered: Wellington, Kapiti/Horowhenua, Wairarapa. Mileage may be charged for travel beyond the Wellington city region and the cost for prints and flashcard media, if required, is additional. Miranda Smith Personal Home Care Ltd - Wellington Personal Home Care Wellington Personal Home Care Ltd offers a range of services that includes personal caregivers, shopping, meal preparation, light housekeeping and companionship. Care can be provided during the day, night and weekends with an on-call service 24 hours, 7 days per week. Caregivers can also help with running errands, shopping or client appointments. Please note that a minimum charge of 2 hours will apply to all bookings. Coverage/Location: Wellington Region. Booking Info: Phone 04 475 8875. Service Amount: Home Care - 1/2 hour $10.00. Home Care - 1 hour $20.00. Home Care - 2 hours $40.00. Home Care - 3 hours $60.00. Home Care - 4 hours $80.00. Home Care - Sleepover Rate $110.00. Home Care - Live-in Rate (24 hours) $220.00. Home care - Variable $5.00. Dr Patrick McCarthy Medical Hypnosis Level 9, CMC House, 89 Courtenay Place, Wellington Dr Patrick McCarthy is a Scottish doctor who came to New Zealand in 1986 to initiallywork as a cancer doctor in Auckland Hospital. He then moved into General Practice in Waikanae in 1987 before starting New Zealand's first and only medical hypnosis practice in Courtenay Place, Wellington in 1996. He is a past President of the New Zealand Society of Hypnosis and a frequent guest lecturer overseas. Dr Patrick McCarthy is the only New Zealand based editorial consultant to the International Journal of Clinical and Experimental Hypnosis. He records every session on CD and gives this to you. Most people require just four sessions in total. Frequently asked questions can be found on his website: www.medicalhypnosis.co.nz . Coverage/Location: Level 9, CMC House, 89 Courtenay Place, Wellington. Booking Info: Appointments to be made by phone or email: Ph 04 385 6998, Email cmc89@xtra.co.nz . Service Amount: Medical Hypnosis $120.00. Gattings Catering Meals Auckland Coverage/Location: Courier charge - Auckland CBD $20 - For all other areas please phone 09 521 7220 or email info@gattings.co.nz for courier charges. Auckland region deliveries only. Booking Info: Please place your meal orders by: Email: info@gattings.co.nz Phone: 09 521 7220 Fax: 09 521 7221. Website: http://www.gattings.co.nz/ Service Amount: Gattings can offer members a range of frozen meals both large (800gm, serves 3-4, $15) and small (400gm, serves 1-2, $10). We can also offer a range of sweet treats and dips. As our menu varies we would like you to call us on 09 521 7220 or email info@gattings.co.nz for meal availability. Please click on the link to website for a full description. Debbie Taplin Massage Massage,Oncology Massage 36 Beaconsfield Road, Midhirst, New Zealand Coverage/Location: Clinic: 36 Beaconsfield Road, Midhirst. Mobile service also available in New Plymouth, Stratford and other areas by arrangement. Booking Info: Appointments to be made by phone or email: Ph 06 756 8917, Mb 021 388 339, Email dimps66@xtra.co.nz. Service Amount: Oncology Massage - 30 minutes $30.00. Oncology Massage - 40 minutes $40.00. Oncology Massage - 1 hour $60.00. Oncology Massage - 1.5 hours $75.00. Additional costs for home visits $10.00. Variable $5.00. Float Away Massage,Oncology Massage 47 Cameron Road, Gisborne Float Away provides holistic therapeutic treatments. All massages are relaxing and help to release stress, anxiety and tension. Booking Info: Bookings to be made by phone: Ph 06 867 3151, Mb 021 346 431. Service Amount: Massage - 1 hour full body relaxation massage $50. Massage - 30 min back, neck, and shoulder massage $30. Massage - 30 min Indian Head massage $30. Oncology massage (60 minutes) $50, oncology massage (30 minutes) $30. Yuko Massage,Reflexology,Reiki Mangonui, Northland, New Zealand Yuko combines Reiki with foot reflexology or gentle body massage for a more powerful treatment. Reiki 1 hour: $45; Foot reflexology with foot spa 1 hour: $45; Gentle massage 1 hour: $45. Multiple locations: Far North Natural Health in Coopers Beach, Far North Midwives in Kaitaia, Avalon Midwife Clinic in Kerikeri, Te Kakano in Kaitaia. Please contact 0210 244 9592 to book. Footloose Reflexology Massage,Reflexology,Reiki 18 Huia Road, Titirangi, Auckland, New Zealand Location: Soul Centre, 18 Huia Road, Titirangi, Auckland Services Provided: Reflexology – gentle foot massage working all of the body’s systems to aid and improve balance and well being. Massage – for relaxing or working out some knots. Reiki – energy work particularly beneficial for putting in the right frame of mind to deal with what life is throwing at you. Reflexology, Massage, Reiki – 1 hour $80; 45 minutes $65; 30 minutes $45 Operating Hours: Monday - Friday 8am – 11am; other times by arrangement How to Book: Phone: 021 025 32785 or email: kerry@footloosereflexology.co.nz Cancellation Policy: If less than 24 hours $25 fee will be charged. Healing Ways Massage,Reflexology 17 Shelly Bay Road, Beachlands, Auckland Booking Info: Bookings by phone or email: Phone 027 741 3034 or Email: healingways@xtra.co.nz. Service Amount: Initial Reflexology Consultation - Clinic $85. Initial Reflexology Consultation - Home Visit $100. Subsequent Reflexology Appointment - Clinic $85. Subsequent Reflexology Appointment - Home Visit $90; Therapeutic / relaxation massage - 1 hour $85; 45 minutes $70; 30 minutes $55. Therapeutic / relaxation massage - Home/Hospital visit $90. Aura Soma - Initial Colour Therapy consultation (90 minutes) - Clinic $95; Initial Colour Therapy consultation (90 minutes) - Home visit $100. Subsequent Colour Therapy appointment - clinic $85; Subsequent Colour Therapy appointment - home visit $95. Lynette Tonks Massage,Reflexology Johnsonville City Fitness, Broderick Road, Johnsonville, Wellington Booking Info: Ph 04 478 6228, Mb 021 478 417, Email lynette_tonks@xtra.co.nz . Service Amount: Consultation Reflexology - $75. Therapeutic/relaxation massage - $75 (60 minutes); $60 (45 minutes); $40 (30 minutes). Wairarapa Holistic Massage,Positive Mind Techniques,Reflexology 42 York Street, Solway, Masterton, New Zealand Offering adapted holistic modalities like gentle touch massage, foot reflexology and meditation. A holistic approach allows people to have wellbeing at physical, psycho-emotional and spiritual levels. Massage (nurturing touch) - 1 hour: $80 Foot reflexology - 1 hour: $80 Meditation - 45 minutes: $50 Scars massage - 30 minutes: $40 Operating Hours: Mon, Tues, Friday: 11am - 6:30 pm. Wed, Thurs: 12pm - 6:30pm. Sat: 9am - 1pm. How to Book: Cell/Text: 021 025 31702; email: cedric@wairarapaholistic.com If possible, please give 24 hour notice for cancellations. Well & Good Health Massage,Physiotherapy,Pilates,Yoga 1 Grove Road, Mayfield, Blenheim, New Zealand Services Provided: PINC & Steel provider. Physiotherapy $99/60 minutes, $49/30 minutes; Massage therapy $80/60 minutes, $50/30 minutes; Yoga/Pilates $15 per class; Personal Training - $variable. Operating Hours: Monday – Friday 8.30am – 5pm How to Book: Phone 03 577 89999, email hello@wellandgoodhealth.co.nz, online at website www.wellandgoodhealth.co.nz Please provide 24 hour cancellation notice if possible. Ruru Remedial Care Massage 136 Main Road, Wainuiomata, A truly good massage can do wonders. Whether it is remedial or relaxing I will work with you to create a healing soothing massage that leaves you calm and refreshed. I have 12 years experience. Location: Ruru Remedial Care, 136 Main Road, Wainuiomata (formally Bella Beauty) Service Amount: Relaxation and therapeutic massage: 30 min - $40; 45 min - $60; 60 min - $80; 90 min - $110 Bookings can be made through the website: https://rururemedialcare.wixsite.com/tralee or 027 644 4652 Please allow 6 hours notice for cancellations. Jackie Verheijde Massage 82 Paengaroa Road, Taihape, New Zealand I am a certified massage therapist, registered with Massage New Zealand. I am clinically trained in pain management, nutrition and supplements. Massages performed at the clinic either on the table or on a massage chair. Massage – 60 minutes: $60 Massage – 30 minutes: $40 Operating Hours: Monday – Friday by appointment How to Book: Phone: 06 928 9617; Mobile: 027 255 1996 If possible, please give 24 hour notice of cancellation. Body & Soul Massage Massage 251 Marine Parade, Eastbourne, Lower Hutt, New Zealand My peaceful studio right at the waterfront of Eastbourne is the perfect place to relax, refresh and unwind. I am specialised in stress-management, health care and well-being and have many years of experience supporting clients going through grief and trauma of terminal illness. My aim is to tailor your massage to your needs on the day – leaving you restored in body & soul. Massage – 30 minutes: $50 Massage – 45 minutes: $65 Massage – 60 minutes: $80 Home/hospital/hospice visit – 60 minutes: $100 Operating Hours: Monday - Friday How to Book: Email: gudrun.co.nz@gmail.com Phone: 04 562 8530 If possible, please give 12 hour cancellation notice. Raewyn Wallace Therapies Lymphoedema Therapy,Oncology Massage 14 Halyard Close, Flagstaff, Hamilton Oncology massage is the adaptation of massage to safely nurture and offer a moment of peace and relaxation to individuals with cancer. Lymphatic Enhancement - combines manual lymphatic drainage with the Lymphstar Pro/Fusion. Gentle rhythmic techniques are applied to the skin with the intention of stimulation the lymphatic capillaries to increase fluid flow within the lymphatic system. Service Amount: Oncology Massage - 45 Minutes $60.00. Oncology Massage - 1 hr $75.00. Lymphatic Enhancement - 60 minutes $75 Booking Info: Bookings can be made by phone 07 854 5020 027 602 8103 or through Ezybook on the website www.raewynwallacetherapies.com. Operating Hours: Monday - Friday. Cancellation Notice: Reasonable notice is acceptable. Anglesea Clinic Physiotherapy Ltd Lymphoedema Therapy,Physiotherapy,Pilates 7-9 Thackeray Street, Hamilton Anglesea Clinic Physiotherapy provides a Lymphoedema Trained physiotherapist. The PINC Cancer rehabilitation program is provided at this clinic which provides for women of all ages, levels of fitness and mobility and can include manual therapy, physical and functional management, resistance training and exercise prescriptions. Lymphoedema treatments may include manual lymphatic drainage techniques, coban 2 bandaging, lymphatic taping, education, and compression garment measuring and fitting. Booking Info: Bookings can be made by phone 07 8580788 or email info@angleseaphysio.co.nz. Please ensure when you book that you inform reception that you are a Sweet Louise member. Service Amount: Pink Pilates - Initial Consultation $95.00. Pink Pilates - Follow Up $50.00. Physiotherapy: for injuries, strains, joint pain - 1 hour $95.00. Physiotherapy: for injuries, strains, joint pain - 30 minutes $45.00. Lymphodema Massage and Bandaging $95.00. Follow up $55.00. Marita Cairns Lymphoedema Therapy,Massage,Oncology Massage,Reiki 227A East Coast Road, Campbells Bay, North Shore City, Auckland Home Visits: By arrangement. Booking Info: Ph: 09 410 7785 Mobile: 021 620 315. Service Amount: Lymphatic Drainage Massage - 1 hour Clinic $100; Lymphatic Drainage Massage - 1 hour Home/Hospital Visit $120; Oncology/ relaxation massage - 1 hour Clinic $80; Oncology / relaxation massage Home/Hospital Visit $120; Reiki 1 hour Clinic $75; Reiki 1 hour Home/Hospital visit $85. Napier City Massage Therapy Lymphoedema Therapy,Massage,Oncology Massage 140 Vigor Brown Street, Napier South, Napier, New Zealand Napier City Massage Therapy offers high quality massage therapy, specialising in Oncology Massage and Lymphoedema Management. Booking Info: Please book either by phone, email, or website 06 833 6162, 0211 426 944, office@napiermassage.co.nz, or www.napiermassage.co.nz. Service Amount: Relaxation, Oncology, Therapeutic Massage or Dr. Vodder Method Lymphoedema Management. 30 minutes - $55 per session; 60 minutes - $90 per session; 90 minutes - $115 per session. Discounted concession packs also available, see www.napiermassage.co.nz/pricing-and-gift-vouchers.html for more information. Operating Hours by appointment: Tuesday 10am - 5pm; Wednesday/Thursday 9am - 6pm; Friday 9am - 5.30pm; Saturday 9am - 2pm. Cancellation Policy: Cancellations with less than 24 hour notice or no shows may incur a charge of $50. Decided on a case by case basis. Wood Bay Natural Health Lymphoedema Therapy,Massage,Oncology Massage 83 Wood Bay Rd, Titirangi, Auckland 0604 Booking Info: Phone 09 815 2526, Mobile 027 3510449, Email clare.brokenshire@gmail.com Service Provided: Lymphatic Massage Initial Assessment 1.5 hours $100.00; Lymphatic Massage 1 hour $8*90.00; Home/Hospital Visits 1 hour $110.00; Lymphatic Massage Caregiver Instruction 1 hour $90.00; Oncology Massage $90.00; Therapeutic/Relaxation Massage 1 hour $90.00. Operating hours: Monday - Friday 8am - 6pm. Ikoi Clinic Lymphoedema Therapy,Massage,Positive Mind Techniques,Reiki 6 Mansell Road, Nukuhau, Taupo, New Zealand Located in Mirror Image, Rangatira shopping Centre, 6 Mansell Road, Taupo Services Provided: Relaxation massage (60 min) $75/(90 min) $95; Deep tissue massage (60 min) $75/(90 min) $95; Lymphatic Drainage massage (60 min) $75/(90 min) $95; Reiki (60 min) $55; Theta/Inner Child/ Other (60 min) $75; A.I.S. stretch (60 min) $75/(90 min) $95; Hot Stone massage (60 min) $85; Chair massage (15 min) $20. Operating Hours: Monday – Friday 9am to 2.30pm. Monday and Friday evening 6pm - 8pm. Other times by appointment. How to Book: Phone 021 158 3258; Online: https://m.facebook.com/ikoiclinic/ Cancellation Policy: Please give 24 hour notice or negotiable under some circumstances. Cambridge Massage Therapy Lymphoedema Therapy,Massage 4 Raleigh Street, Leamington, Cambridge At Cambridge Massage Therapy, Heather personalises each session to the individual needs of the client. Massage therapy is designed based on the medical history and current physical and emotional state of the client. Coverage/Location: 4 Raleigh Street Leamington Cambridge. www.cambridgemassage therapy.co.nz . Booking Info: Bookings can be made by calling 07 8234000. Service Amount: Lymphodema Massage - 1/2 hour $40.00; Massage - 1 hour massage $70.00. Massage - 30 minute massage $40.00. Jenny Collett - Lymphodema Therapist Lymphoedema Therapy 257 Newbury Lane, RD8, Palmerston North I am a physiotherapist specialising in lymphedema management and will provide a lymphodema management service including advice, massage, kinsesio taping and compression if required. Coverage/Location: Clinic: 257 Newbury Line, RD8, Palmerston North. Home and hospital visits also provided. Booking Info: Appointments to be made by phone or text: Ph 06 357 0987, Mb + text 027 284 7907. Service Amount: Lymphatic Massage Initial Asmt - 1 1/2 hrs $90.00. Lymphatic Massage - 1 hour $75.00. Kinesio taping $5.00. Tease Botanix Hair & Beauty Rooms Looking Great,Massage,Skin Care 21 Graham Place, Bellevue, Tauranga 3110, New Zealand Services Provided: I use/make kind, natural-as-can-be products in my salon. All manner of hair, beauty, nail services with qualifications as a hairdresser, nail technician & beautician, as well as training in oncology esthetics. Back, shoulder & neck massage $40; Facials (various) from $75 - $155; Haircuts $55 - $80; Colours from $95; Manicures from $35; Pedicures from $45; LED treatments $60 Operating Hours: By appointment only (Flexible hours) How to Book: Phone 07 570 0971 or 027 551 7011, email teena@teasebotanix.co.nz, website www.beautyrooms.co.nz Cancellation Policy: 24-hour notice required to enable another client to fill vacated appointment. Cancellation due to illness, etc, flexibility and understanding prevails here. Driftwood Day Spa Looking Great,Massage,Positive Mind Techniques 227 Gladstone Road, Gisborne, New Zealand Driftwood Day Spa provides spa treatments delivered by highly experienced & qualified therapists. We Use only organic products in all our treatments, in a welcoming & friendly environment. Services provided: Seed + Soul Facial - $45; Beach Feet (foot soak, scrub, massage) - $45; Hair conditioning treatment - $25; Guided Meditation - $25; Massage - 30 minutes $40, 60 minutes $80, 90 minutes $110. Operating Hours: Monday - Friday 10am - 4pm; Saturday 10am - 2pm. How to Book: Phone 06 863 0991, Mobile 0210 627 165; Email driftwood@outlook.co.nz; Website driftwood.wordpress.com; Facebook https://www.facebook.com/DriftwoodGisborne/ Cancellation Policy: Please provide 24 hour notice. New Look Beauty & Skin Care Clinic Looking Great,Massage 28 Law Street, Torbay, Auckland, New Zealand New Look Beauty & Skin Care Clinic provide beauty therapy treatments with relaxation in mind. They use Dermalogica Skin Care products. Beverley Domancie is the only therapist and likes this to be a warm and welcoming place to come. Booking Info: Appointments to be made by call or text: 021 026 11104 Service Amount: Facials – Express Skin Care $55, Treatment Skin Care $100. Eye Treatments – eyebrow tint $20, eyelash tint $30, eyebrow tint & shape $40, eyelash & brow tint $40, eyelash & brow tint and tidy $50. Hand & Feet – Touch up treatment $35, Luxury manicure $55, “Pop In” pedicure $45, Deluxe pedicure $85. Massage – Relaxing back, neck, shoulder massage $60, New Look Signature massage (1 hour) $85. Operating Hours: Monday – Closed; Tuesday, Thursday, Friday – 10:30am – 6pm; Wednesday – 10:30am – 7pm; Saturday 10:30am – 1pm (Varies due to bookings) Cancellation information: Please provide 24 hour notice. The Essentials - Massage & Beauty Looking Great,Massage 170 State Highway, 10 Coopers Beach, Far North 0420 A massage and beauty therapy business that offers natural alternatives to client's beauty needs. Ula is also a qualified and experienced therapist in massage allowing her the flexibility to offer modifications until techniques that work best for the client are found. Service Amount Facials - $55 - $135; Massage (30 mins) $40; Massage (60 mins) $70; Massage (90 mins) $100; Hot Stone Massage (30 mins) $50; Hot Stone Massage (60 min) $90; Hot Stone Massage (90 mins) $130; Eye Trio (brow shape, lash & brow tint) $40; Brow tint $12; Lash tint $20; Brow shape $20; Brow shape & tint $30; Deluxe Manicure $65; Classic Manicure $50; Deluxe Pedicure $95; Classic Pedicure $60; Mini-pedicure $45; Paint and shape (hands or feet) $30; Waxing: 1/2 leg - $25, 3/4 leg - $35, full leg - $50; Paraffin treatments $40; Ultimate body exfoliation $45. Operating Hours: Monday - Saturday 9am - 5pm (check website as hours vary slightly) Booking Info: By appointment only. For appointments phone, email or text: Ph: 09 406 2081 Mb or text: 021 509 086 Email: relax@theessentials.co.nz Cancellation Notice: Please give 2 hours notice or 50% fee may be charged. Abella Beauty Clinic Looking Great,Massage 817B Churchill Street, Akina, Hastings Abella Beauty Clinic is a friendly, private beauty clinic in a residential area. Treatments are personalised by Jay to suit individual needs using professional products. Off street parking is available outside the clinic. Disability friendly. Coverage/Location: Clinic: 817B Churchill Street, Akina, Hastings www.abellabeauty.co.nz. Booking Info: Appointments to be made by phone, text or email: Phone: 06 876 5100 Mobile and text: 021 2255763 Email: info@abellabeauty.co.nz Service Amount: Facial - Express - 45 mins $45. Facial - Classic - 75 mins $75. Manicure - Full $50. Pedicure - Full $60. Back, Neck and Shoulder Massage - 30 mins $40. Eyebrow shape - shape $20. Eye Combo $45. The Front Room Beauty Retreat Looking Great,Massage 244 Victoria Avenue, Hokowhitu, Palmerston North Coverage/Location: The Front Room Beauty Retreat, 244 Victoria Avenue, Hokowhitu, Palmerston North. Booking Info: Bookings by Phone: Mb 021 146 8630 or email thefrontroombeautyretreat@gmail.com. Service Amount: Deluxe Manuka Honey Facial - 1 Hour $85; Spa Manicure - $60; Spa Pedicure - $70; Gel Nail Polish - $50; Back, Neck & Shoulder Relaxation Massage - $50; Eyebrow shape $18. Ample Beauty Ltd Looking Great,Massage 5/66 Ingestre Street, Whanganui, New Zealand Bookings can be made by phone: 06 3443200 email: amplebeautyltd@gmail.com or through the website: http://amplebeauty.co.nz/ Hours: Tuesday 9am - 8pm; Wednesday - Friday 9am - 5pm Saturday 9am - 2pm (Summer) & 11am - 3pm (Winter) Services: Decleor Taster Facial $60.00; Gel Manicure or Pedicure $32; Deluxe Manicure or Pedicure $55.00; Back, Neck and Shoulder Massage (30 minutes) $38.00; Head Massage $40.00. Please allow 12 hours for cancellations if possible. Boutique Beauty Looking Great 12 Wesley Street, Pukekohe, Auckland Boutique Beauty provides facials, brow shapes, manicures and pedicures. Coverage/Location: Clinic: Boutique Beauty 12 Wesley Street, Pukekohe, Auckland www.boutiquebeauty.co.nz Booking Info: Please phone to make appointments: Phone: 021 456 312. Service Amount: Facial - 1 Hour $120.00 Facial - 30 mins $70.00 Manicure - Full $55.00 Mini Manicure - Express $40.00 Pedicure - Full $65.00 Eyebrow shape - shape $20.00 Mini Pedicure - Express $40.00 Variable $5.00. Body Cafe Looking Great 829 Victoria Street, Hamilton Coverage/Location: 829 Victoria Street Hamilton and 548 River Road Hamilton, www.bodycafe.co.nz Booking Info: Bookings can be made by Phone, email or through the website:829 Victoria Street Hamilton 07 839 2224. River Road Hamilton 07 853 5506 tara@bodycafe.co.nz http://www.bodycafe.co.nz/ Manicure - 30 mins $50.00. Manicure - 1 hour $80.00. Pedicure - 30 mins $55.00. Pedicure - 1 hour $90.00. 30 mins Espresso Facial $60.00. Total Harmony Facial $140.00. Anti Wrinkle Facial $135.00. Relax Pack $100.00. Mint Beauty Therapy Looking Great 367 Alexander Street, Te Awamutu 3800 Mint Beauty Therapy is located in the heart of Te Awamutu, and is at the fore-front of beauty and body treatments in the Waikato. Coverage/Location: 367 Alexander Street Te Awamutu 3800. Booking Info: Bookings can be made by phoning the Salon - 07 870 3938 or via our Facebook page https://www.facebook.com/mintbeauty.co.nz/ Service Amount: Facial - Mint Signature Facial $90.00. Facial - Multivitamin Power Treatment Facial $70.00. Manicure - Deluxe $70.00. Manicure - Express Manicure $40.00 Operating Hours: Mon, Wed, Fri: 9am - 5pm; Tue: 9am - 7pm; Thur: 9am - 8pm; Sat: 9am - 1pm. 24 hour cancellation policy - if clients do not cancel within this time period, they will be invoiced for 50% of the original bill. Changes Medispa Looking Great 15 Titoki Street, Landsdowne, Masterton Changes Medispa is a health and beauty day spa set in the serene grounds of an historic manor house. Offering a relaxing, indulgent escape away. Specialising in treatments that transform and renew in a beautiful luxurious setting. Booking Info: Bookings to be made by phone or email:Phone: 06 370 1971 Email:healthspa@manorhouse.co.nz Text only: 021 678 304. Service Amount: Facial - 1 Hour $135.00. Manicure - 1 hour $79.00. Pedicure - Royal Pedicure $89.00. Pedicure - Gel Pedicure $55.00. Massage - 1 hour $95.00. Massage and Facial $175.00. Variable $5.00. Juve Limited Looking Great 24 Lowe Street, Gisborne Juve is Beauty Therapy service with a friendly team which collectively has over 40 years of experience in the Beauty Industry. We provide a wide range of services. Coverage/Location: 24 Lowe Street, Gisborne. www.juve.co.nz. Service Amount: Facial - 1 Hour $90.00. Facial - 30 mins $50.00. Manicure - 30 mins $50.00. Manicure - 1 hour $75.00. Pedicure - 1 hour $75.00. Pedicure - 30 mins $50.00. Massage - 1 hour $75.00. Massage - 30 mins $45.00. Massage - Hot stone massage - 60 mins $100.00. Simply Skin Day Spa Looking Great 17 Great North Road, St Leonard House, St Johns Hill, Wanganui Coverage/Location: Simply Skin, 17 Great North Road, St Leonard House, St Johns Hill, Wanganui. www.simplyskinspa.co.nz . Booking Info: Appointments by phone or email: Phone 06348 7891. Email info@simplyskinspa.co.nz . Service Amount: Manicure - Express Manicure $45.00. Manicure - Bliss Manicure $65.00. Manicure - Spa rituals healing hands manicure $95.00. Pedicure - Express Pedicure $45.00. Pedicure - Bliss Pedicure $70.00. Massage - Hot stone massage - 30 mins $60.00. Massage - Hot stone massage - 60 mins $80.00. Massage - Indian head massage $55.00. Massage - Wellbeing massage - 30 mins $45.00. Massage - Wellbeing massage - 60 mins $65.00. Eyebrow shape - shape $20.00. Variable $5.00. Elegies Facials - Taster Facials $65.00. Elegies Facials - Skin Specific Facials $80.00. The Spa at Muskoka Ridge Looking Great 228c Smart Road, RD2, New Plymouth Experience pampering at its very best. At Muskoka Spa we aim to nurture Mind, Body and Spirit. Anna Robinson (winner Best NZ Therapist 2009 & 2010) and her wonderful team will ensure you are in good hands. Book your amazing facial, massage, reflexology or Reiki treatment with us and relax for a while in our care. Coverage/Location: The Spa at Muskoka Ridge, 228c Smart Road, RD2 New Plymouth. Booking Info: Appointments to be made by phone or email: Phone 021 216 2603, Email: muskokaspa@xtra.co.nz. Service Amount: Facial - Hydrabeaute Facial $100.00. Facial - Beauty Flash Facial $75.00. Back Massage - 45 min $68.00. Manicure - 1 hour $70.00. Pedicure - 1 hour 15 min $70.00. Massage - Hot stone massage - 1.5hrs $120.00. Variable $5.00. Body & Soul Beauty Clinic Looking Great 4 Broderick Road, Johsonville Coverage/Location: 4 Broderick Road, Johnsonville, Situated between Ballantynes and the old Resene Shop. Booking Info: Ph 04 478 6228, Mb 021 0239 3329. Service Amount: Facial - 1 hour $65.00, Facial - 30 mins $40.00. Facial - Variable $5.00. Manicure - 1 hour $35.00. Pedicure - 1 hour $45.00. Massage - 1 hour $65.00. Massage - 30 mins $40.00. Massage - 45 mins $55.00. Hair Removal A $35.00. Hair Removal B $45.00. Variable $5.00. Heavenly Beauty Looking Great 66 Kapanui Road, Waikanae, Kapiti Coast Coverage/Location: 66 Kapanui Rd, Waikanae, Kapiti Coast. Booking Info: Ph 04 293 6441, Mb 022 192 1602, Email: theresa@heavenlybeauty.nz . Service Amount: Facial - 1 hour $80.00. Facial - 45 mins $50.00. Facial - variable $5.00. Manicure - 20 mins $25.00. Manicure 30 mins $30.00. Manicure - 1 hour $45.00. Pedicure - 1 hour $65.00. Pedicure 30 mins $45.00. Pedicure - 1 hour 30 mins $95.00. Massage - 1 hour $70.00. Massage - 30 mins $40.00. Eyebrow shape $20.00. Variable $5.00. House of Beauty Day Spa Looking Great Unit 11, 99 Mana Esplanade, Mana At House of Beauty Day Spa, you will enjoy a relaxed atmosphere. With our busy lifestyles, it is important that we take time out for ourselves and at House of Beauty Day Spa we use this time to ensure that you leave feeling better than when you arrived. Booking Info: Appointments to be made by phone 04 233 8678 or book online at https://www.houseofbeautyspa.co.nz/ Service Amount: Please refer to the website for services and pricing. https://www.houseofbeautyspa.co.nz/ Operating Hours: Monday 9am - 3pm. Tuesday & Thursday 9am - 8pm; Wed & Friday 9am - 5pm; Saturday 9am - 330pm. Please provide 12 hour cancellation notice when possible. Indulgence Beauty & Day Spa Ltd Looking Great 15 Managawhero Road, Matamata 3400 Coverage/Location: 15 Managawhero Road Matamata. Booking Info: Ph 07 888 8794, Mb 027 816 6330, Email contactindulgence@clear.net.nz . Service Amount: Express Facil $65.00. Harmonising Facial $90.00. Indulgence Pedicure $60.00. Indulgence Manicure $60.00. Back Massage with Cremedela Cream Scrub $50.00. Indulgence Foot massage $50.00. Variable $5.00. Classic Nails Looking Great 85 Firth Street, Matamata, New Zealand Services Provided: Pedicure - $70; Shellac manicure - $50; Acrylic nails - $80; Shellac add-on - $10; Backfill includes shellac polish - $60. Operating Hours: Tues – Fri: 10am - 5pm How to Book: Phone 027 541 4641 Cancellation Notice: Please let service provider know 1 day before appointment. Relish Nails and Beauty Looking Great 76 Kendal Avenue, Christchurch, New Zealand Services Provided: All beauty services including manicures, pedicures, facials, waxing and more. Please visit www.relishnails.co.nz for more services and pricing. Manicure - 30 minutes: $35; Gel manicure - 45 minutes: $45; Gel manicure - 60 minutes $55 (with gel removal); Pedicure - 45 minutes: $50; Gel Pedicure - 45 minutes: $55; Gel Pedicure 60 minutes $65 (with gel removal); Facials - Deep Cleanse 45 minutes: $89; $45; Mini facial - 30 minutes: $69; Bio Active Rejuvenation 60 minutes: $99 Tues & Thurs: 10 am – 8 pm Wed & Fri: 10 am - 5 pm Sat: 10 am - 2 pm Email: bernice@relishnails.co.nz Phone/Text 027 431 3779 If possible, please give 24 hour notice for cancellations. V for Hair & Beauty Looking Great Shop 110, Merivale Mall, 189 Papanui Road, Christchurch Upmarket ladies hair and beauty salon located conveniently in Merivale Mall. Mature staff with many years of experience. We don't just do hair, "We do beautiful". Pedicure – 60 minutes: $65 Classic facial – 45 minutes: $50 Deluxe facial – 75 minutes: $80 Full body massage – 60 minutes: $80 Back massage – 45 minutes: $50 Operating Hours: Open 6 days a week How to Book: Phone: 03 355 6584 Email: merivalesalon@vforhair.co.nz If possible, please give 24 hour notice for cancellations. Healing Arts Jin Shin Jyutsu,Reiki 176 Weggery Drive, Waikanae Beach, Waikanae, New Zealand Booking Info: Ph 04 293 7325, Mb 027 222 0602, Email jane@healingarts.co.nz . Service Amount: 1 hour Reiki treatment $60. Reiki Home visit $75. Initial Jin Shin Jyutsu appointment - 1.5 hrs - at therapist $60, Home Jin Shin Jyutsu $75. Additional travel costs - Otaki to Pukerua Bay $15. Team 7 Limited - Te Awamutu Haircuts, Headwear, Wigs,Looking Great 238 Alexandra Street, Te Awamutu 3800 Our Salon is furnished to create a unique experience and we have on offer superb coffee, I-pads, newspapers and a vast selection of magazines and books. Booking Info: Bookings can be made by phone - 07 871 6583 or through the website www.teamseven.co.nz. Service Amount: Please visit the website for pricing and services on offer. Ahead with Organics Haircuts, Headwear, Wigs,Looking Great 30 Knights Road, Lower Hutt, New Zealand We are an organic hair and beauty salon with a small, friendly staff. We pride ourselves in keeping your hair and scalp in the best possible condition while producing hairdresser quality results. We use natural and organics O.C.S. and Saboré – No ammonia, parabens, sulphates and cruelty free. Wig Shaping and Styling as ladies haircuts: $60 - $80 See website for regular services Operating Hours: Mon & Fri: 9 am – 5 pm Tue – Thurs: 9am – 8 pm Sat: 8 am – 2:30 pm How to Book: Email: salon@aheadwithorganics.co.nz Phone: 04 566 5442 Please give 24 hour notice of cancellation if possible. Cathy's Hairstyles Haircuts, Headwear, Wigs 42 Rata Street, Inglewood, New Plymouth 4330 Coverage/Location: 42 Rata Street Inglewood New Plymouth 4330. Booking Info: Bookings can be made by phone: 06 7568910. Service Amount: Cut & Blow Dry $30.00. Cut & Set $30.00. Haircut $25.00. Set $15.00. Fringe Cut $5.00. Hair wash only $5.00. Conditioning Treatment $20.00. Straightening $15.00. Gratify Hair Studio Haircuts, Headwear, Wigs 20 Napier Street, Jervoistown, Napier Come and enjoy your hairdressing experience in a relaxed air conditioned environment without the stress of a high street salon. Receive one-to-one exclusive service direct from a qualified stylist. Booking Info: Bookings by phone, email or text: Phone: 06 844 1627 Mobile/text: 027 416 1251 Email: info@gratify.co.nz. Service Amount: Shampoo & Blow Dry $35.00. Dry Cut $35.00. Shampoo, cut and blow dry $45.00. Conditioning treatment (includes blow dry) $60.00. Image Works - Leigh Renai Haircuts, Headwear, Wigs 8 Puketiro Avenue, Northland, Wellington 6012. Image Works is a hair loss specialist dedicated to medical related hair misfunction and loss. They are registered to process all health benefit claims. Their studio is situated in the central Wellington suburb of Northland. Home and hospital visits are available on request. Image Works have an extensive range of the highest quality human hair and ready to wear wigs and also design and custom make wigs. A full range of high quality synthetic made and handmade wigs are also available. An extensive range of New Zealand made machine washable headwear including turbans, beanies and hats purpose made for hair loss in the lastest seasonal colours are available also. A full maintenance service for wigs purchased through Image Works is provided. All consultations are by appointment. Vouchers are redeemable for any Image Works product or service. Coverage/Location: 8 Puketiro Avenue, Northland, Wellington 6012. Booking Info: Appointments (available 7 days if required) to be made by phone or email: Ph 04 475 8185, Mb 027 244 1538, Email leigh.renai@xtra.co.nz. Website: www.wigs.co.nz Service Amount: Gift vouchers $50.00. Gift vouchers $20.00. Gift vouchers $10.00. Gift vouchers $5.00. Elite Feet Podiatry Footcare 9a Falls Street, Warkworth, New Zealand Location(s): 9a Falls Street, Warkwork Services Provided: We are a Podiatry service that offers general toe nail and foot care, injury treatment and biomechanical analysis and treatment. We can provide people with orthotics, foot supports, foot wear, braces, supports and moonboots. We provide care and treatment to people of all ages and situations. General Podiatry Care – 30 min appt (toe nails, corns, calluses etc) $70; General Podiatry Care home visit $75; Biomechanical assessment – 45 min appt (analysis of gait and treatment plan) $80; Biomechanical follow up and treatment (30 -45 min appt, orthotics if required are extra charge) $60; 20 min follow up appt – for general podiatry or biomechanics $50 Operating Hours: Monday – Friday 8am – 5pm How to Book: Mobile: 021 036 3702; email: info@elitefeet.co.nz Cancellation Policy: Cancel your appointment via email or phone preferably 24hours prior to appt. No cancellation fee is charged at this stage. Elite Feet Podiatry Footcare 220 Rodney Street, Wellsford, New Zealand Location: Coast to Coast Medical, 220 Rodney Street, Wellsford Services Provided: We are a Podiatry service that offers general toe nail and foot care, injury treatment and biomechanical analysis and treatment. We can provide people with orthotics, foot supports, foot wear, braces, supports and moonboots. We provide care and treatment to people of all ages and situations. General Podiatry Care – 30 min appt (toe nails, corns, calluses etc) $70; General Podiatry Care home visit $75; Biomechanical assessment – 45 min appt (analysis of gait and treatment plan) $80; Biomechanical follow up and treatment (30 -45 min appt, orthotics if required are extra charge) $60; 20 min follow up appt – for general podiatry or biomechanics $50 Operating Hours: Monday – Friday 8am – 5pm How to Book: Mobile: 021 036 3702; email: info@elitefeet.co.nz Cancellation Policy: Cancel your appointment via email or phone preferably 24hours prior to appt. No cancellation fee is charged at this stage. Elite Feet Podiatry Footcare Dalton Road, Snells Beach, New Zealand Location: Kawau Bay Health, Dalton Road, Snells Beach Services Provided: We are a Podiatry service that offers general toe nail and foot care, injury treatment and biomechanical analysis and treatment. We can provide people with orthotics, foot supports, foot wear, braces, supports and moonboots. We provide care and treatment to people of all ages and situations. General Podiatry Care – 30 min appt (toe nails, corns, calluses etc) $70; General Podiatry Care home visit $75; Biomechanical assessment – 45 min appt (analysis of gait and treatment plan) $80; Biomechanical follow up and treatment (30 -45 min appt, orthotics if required are extra charge) $60; 20 min follow up appt – for general podiatry or biomechanics $50 Operating Hours: Monday – Friday 8am – 5pm How to Book: Mobile: 021 036 3702; email: info@elitefeet.co.nz Cancellation Policy: Cancel your appointment via email or phone preferably 24hours prior to appt. No cancellation fee is charged at this stage. Sole to Soul Footcare Auckland Coverage/Location: Services mobile - areas include Waitakere, North Shore to Albany, Auckland city & south to Mt. Wellington. Group sessions of 3 or more available for Pakuranga, Howick, Manukau City. Booking Info: Ph: 09 832 5001, Email: info@soletosoul.co.nz Service Amount: Level I $50. Level II $60. Level III $80. Hand nail care $30 in conjunction with above services only. Waikato Podiatry Clinic Footcare 10 Pembroke St, Hamilton Lake, Hamilton 3204 Coverage/Location: Hamilton - 10 Pembroke Street(daily). Hamilton - Rototuna branch - 93a Thomas Rd. (daily). Cambridge - Dr. Pinfolds Rooms 71 Duke St. (twice weekly). Te Aroha - 63 Rewi St. (once a month). Thames - Unit 8/210 Richmond St, (at the side of Te Korowai Medical Centre) 2-3 days weekly. www.waikatopodiatry.co.nz Booking Info: Please phone 07 8380003 for bookings or call into the Clinic. Service Amount Home/Hospital Visits $95.00 General Podiatry 1/2 hour $65.00, Bio Mechanical Assessments $75.00. Five Foot Four Footcare Tawa Five Foot Four podiatry is dedicated to maintaining foot health. The service provides treatment for common foot problems such as thick hard nails, corns and callus (hard skin) and a light foot massage. This also involves a thorough foot assessment with professional advice on foot complications that may arise with surgical and medical conditions. 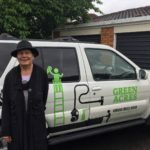 Coverage/Location: Mobile service - Home and Hospital Visits Tawa - Waikanae. Booking Info: Please phone 021 182 1795 to book your appointment and leave a message if unattended. Bookings can also be made by email fiona.popert@fivefootfour.co.nz Service Amount: Tawa - Pukera Bay $75.00. Paekakariki - Waikanae $95.00. Variable $5.00. Foot Mechanics Taupo Footcare 59 Heuheu Street, Taupo, New Zealand Nail and skin care, treatment of various foot conditions. Footwear consultation, advice, and recommendation on footwear to improve comfort. Footwear available at further expense. Nail and skin care: $65; Footwear consultation: $65. Operating hours: Mon - Fri 8:30am - 5pm. Book by phone: 07 376 5012, if possible please provide a 24 hour notice of cancellation. Foot Mechanics Rotorua Footcare 1198 Amohia Street, Rotorua, New Zealand Nail and skin care, treatment of various foot conditions. Footwear consultation, advice, and recommendation on footwear to improve comfort. Footwear available at additional expense. Services provided: Nail and skin care: $65; Footwear consultation: $65. Operating hours: Mon - Fri 8:30am - 5pm. Book by phone 07 346 0697. If possible, please give a 24 hour notice of cancellation. The Flower Shop Limited Florist 424 Featherston Street, Palmerston North We are Palmerston North's favourite flower shop, supplying the Manawatu region with fresh cut flowers and beautiful bouquets since 1985. We sell a large variety of fresh cut flowers at growers prices along with bouquets and floral arrangements for all occasions. Coverage/Location: Flower Shops are located at 424 Featherstone Street Palmerston North, 188 Te Awe Awe Street, Hokowhitu, Palmerston North. Booking Info: Ph 06 357 3320 or 06 3533463. Service Amount: Gift Vouchers - $5.00. Gift Vouchers $10.00. Gift Vouchers - $20.00. The Flower Shop Limited Florist 188 Te Awe Awe Street, Hokowhitu, Palmerston North We are Palmerston North's favourite flower shop, supplying the Manawatu region with fresh cut flowers and beautiful bouquets since 1985. We sell a large variety of fresh cut flowers at growers prices along with bouquets and floral arrangements for all occasions. Coverage/Location: Flower Shops are located at 424 Featherstone Street Palmerston North, 188 Te Awe Awe Street, Hokowhitu, Palmerston North. Booking Info: Ph 06 357 3320 or 06 3533463. Service Amount: Gift Vouchers - $5.00. Gift Vouchers $10.00. Gift Vouchers - $20.00. Scent Floral Boutique Florist 45 Johnston Street, Wellington. Gorgeous posies and bouquets for home or friends as gifts. Gorgeous orchid plants, lovely selection of NZ Soy Candles, selection of ceramic & glassware for gifts. We can deliver our products to the Hutt Valley, Kapiti Coast and Wellington Region. Coverage/Location: 45 Johnstone Street, Wellington. Booking Info: Bookings can be made by phone - 04 4999040 or email info@scentboutique.co.nz. Vouchers can also be used for delivery costs. Service Amount: Gift Vouchers $5.00. Gift Vouchers $10.00. Gift Vouhcers $20.00. Variable $5.00. Flowers by Tanya Florist 242 Heretaunga Street East, Hastings 4122 Coverage/Location: 242E Heretaunga Street Hastings.. Booking Info: Ph 06 878 8787 or 021 781171. Email info@flowersbytanya.co.nz Service Amount: Gift Vouchers - $5.00. Gift Vouchers $10.00. Gift Vouchers - $20.00. Variable $5.00. Courier Charge - Local $10.00. OPen 9 - 5pm Monday to Friday and 9.30 - 1pm Saturday. Align Clinical Pilates & Physiotherapy Exercise Services,Physiotherapy,Pilates 12 Lee Road, Taradale, Napier, New Zealand The PINC program provides a full range of services designed to help women diagnosed with cancer. Individual sessions with a PINC Physiotherapist may include hands-on physiotherapy, massage, breathing & relaxation, stretching, fatigue management, lymphoedema education and exercise prescription including pilates-based exercises. Your sessions are tailored to your individual needs on the day. Booking Info: Bookings to be made by phone: Ph: 06 833 6485 Website: www.alignphysio.co.nz Service Amount: PINC - individual 60 minutes $120 or 30 minute session $70. Active Plus New Plymouth Exercise Services,Massage,Physiotherapy,Pilates 20 Robe Street, New Plymouth, New Zealand Coverage/Location: Studio: Active Plus New Plymouth, Unit 2, 20 Robe Street, New Plymouth. Booking Info: Appointments to be made by phone or email: Phone 06 769 9992, Email newplymouth@activeplus.co.nz. Service Amount: Physiotherapy Assessment/Treatment 60 mins $90.00 Physiotherapy Treatment 30 mins $50.00 Exercise Programme 60 mins $90.00 Massage 30 mins $50.00 Pilates 1:1 30 mins $50.00 Pilates 1:1 60 mins $90.00. Monday - Friday 8am - 5pm. Hamilton Pools (Waterworld) Exercise Services,Hydrotherapy Hamilton Pools, Garnett Ave, Te Rapa, Hamilton 3200 The water provides a wonderful medium to relax & exercise in. We can offer group/individual swimming tuition in a warm (35 degree) private pool or any of our other pools ranging from outside (22 degrees) to inside (32 degrees) lap pools. You can join our gym which uniquely provides both full pool access as well as typical gym facilities. We also offer casual childcare to watch your little ones while you relax/exercise. Coverage/Location: Garnett Ave Te Rapa Hamilton 3200 www.hamiltonpools.co.nz . Booking Info: Bookings can be made by phone 07 958 5864. Service Amount: Pool- Adult $6, Senior $3, Disabled (Caregiver free) $3; Hydrotherapy Pool – Adult $6.50, Disabled (Caregiver free) $6.50; Concessions - Adult (10 Sessions) $54, Disabled (10 Sessions) $28, Hydrotherapy pool (10 Sessions) $60; Childcare (when using facilities - Bookings essential) - Per hour $5.00 - Please see website for full list of prices. Flourish Coaching Ltd Counselling & Emotional Support 164 Clarence Street, Riccarton, Christchurch, New Zealand Toni Stewart provides counselling and personal coaching services offering an integrated approach to clients wellbeing and growth. She has a particular interest in supporting clients with trauma, grief and loss, as well as working with a range of issues including, but not limited to: anxiety, depression, self esteem, confidence, communication, work/life balance. Toni uses a range of therapeutic modalities: Person-Centred, Solution Focused and ACT Therapy (Acceptance and Commitment). Services: Counselling $110.00 per session, Personal Coaching $110.00 per session. Located at Happy Spine Wellness Centre, 164 Clarence St, Riccarton, Christchurch. Tuesday and Wednesday 8.30am - 4pm. To make an appointment please email toni@flourishcoaching.co.nz or phone 03 356 1188. Bronwyn Miller Counselling & Emotional Support Level 1, Aon Building, Corner Ruahine & Main Streets Palmerston North Coverage/Location: Clinic rooms: Level 1, Aon Building, Corner Ruahine & Main Streets Palmerston North. Booking Info: Appointments to be made by phone: 027 346 5887. Email: Bronwyn@familycounselling.co.nz. Service Amount: Counseling session - 1 hour $75.00. Janet Gush Counselling & Emotional Support New Plymouth Janet Gush provides confidential, client based counselling. Her experience covers not only working with individuals but also with family, groups and children. This is a mobile service in the New Plymouth region. Coverage/Location: This is a mobile service at your home to areas by arrangement. Janet Gush covers the New Plymouth region. Booking Info: Appointments to be made by phone: 06 755 0029. Service Amount: Counselling session - 1 hour $80.00. Variable $5.00. Paula O'Boyle Counselling & Emotional Support 202 Queen Street, East Hastings, Hastings Paula O'Boyle provides counselling and psychotherapy with a particular interest in loss and grief, women's issues and recovering from trauma and domestic violence. Coverage/Location: Clinic:202 Queen Street, East Hastings, Hastings (Corner of Queen Street and Karamu Road). Booking Info: Appoints to be made by phone: 06 878 3314 (confidential answer phone). Service Amount: Counseling session - 1 hour $75.00. Variable $5.00. Flourish Coaching Ltd Counselling & Emotional Support 13 Lingard Street, Christchurch, New Zealand Toni Stewart provides counselling and personal coaching services offering an integrated approach to clients wellbeing and growth. She has a particular interest in supporting clients with trauma, grief and loss, as well as working with a range of issues including, but not limited to: anxiety, depression, self esteem, confidence, communication, work/life balance. Toni uses a range of therapeutic modalities: Person-Centred, Solution Focused and ACT Therapy (Acceptance and Commitment). Services: Counselling $110.00 per session, Personal Coaching $110.00 per session. Located at 13 Lingard Street, St Albans, Christchurch. Monday to Friday 8.30am - 4pm. To make an appointment please email toni@flourishcoaching.co.nz or phone 03 356 1188. InTouch Health Breathing Exercises,Lymphoedema Therapy,Massage,Oncology Massage 107 Williamson Ave, Auckland, New Zealand Intouch Health is a body therapy clinic specialising in craniosacral therapy, massage therapy and lymphatic drainage/lymphoedema management. Nicky also facilitates workshops and private tuition for individuals and families on a range of topics including: - Mindful breathing and relaxation techniques. – Gentle massage/loving touch for families. Services: Craniosacral Therapy (1 hour clinic visit) $80; (1 hour home/hospital visit) $110. Oncology massage: (1 hour clinic visit) $80; (1 hour home/hospital visit) $110. Lymphoedema therapy: (1 hour clinic visit) $80; (1 hour home/hospital visit) $110. PRIVATE TUITION: Mindful breathing and relaxation techniques for the family. 1 hour (clinic visit) $80.00 1 hour (home visit) $110.00 Gentle massage/loving touch for the family. 1 hour (clinic visit) $80 - 1 hour (home visit) $110 Bookings can be made by phone/text: 021 299 1054 or email nicky@intouchhealth.co.nz Operating hours: Monday, Tuesday and Thursday 107 Williamson Ave, Grey Lynn, Auckland. Home and hospital visit times as required. Please provide 24 hours cancellation notice. Suzelle Lingerie Body Wear 108W Heretaunga Street, Hastings In our lingerie store we have a private fitting room for breast cancer patients. Our passion is to help women "look good and feel great". Your first fitting after breast cancer is the first step to feeling normal again. Your confidence and self esteem will improve instantly and you will look normal again. We sell fashion bras that we fit with pockets as well as pre-pocketed bras. Swim with confidence all year round with our choice of pre-pocketed swimsuits. Coverage/Location: 108W Heretaunga Street, Hastings. www.suzellelingerie.co.nz. Booking Info: It is preferable appointments are made, by phone. Phone: 06 878 9592 Mobile: 021 201 5244. Service Amount: Product Vouchers - $5 $5.00. Product Vouchers - $10 $10.00. Product Vouchers - $20 $20.00. Product Vouchers - $50 $50.00.